I love hummingbirds. A few years ago I was lucky enough to see a nest in one of the trees in our back yard. The food is easy to make (one part sugar to four parts water) so why buy it? Hummers aren’t the only creatures that like the sweet syrup. So do ants. They serve a purpose in the big scheme of things but I’m not a fan of ants. On my hummingbird feeders. 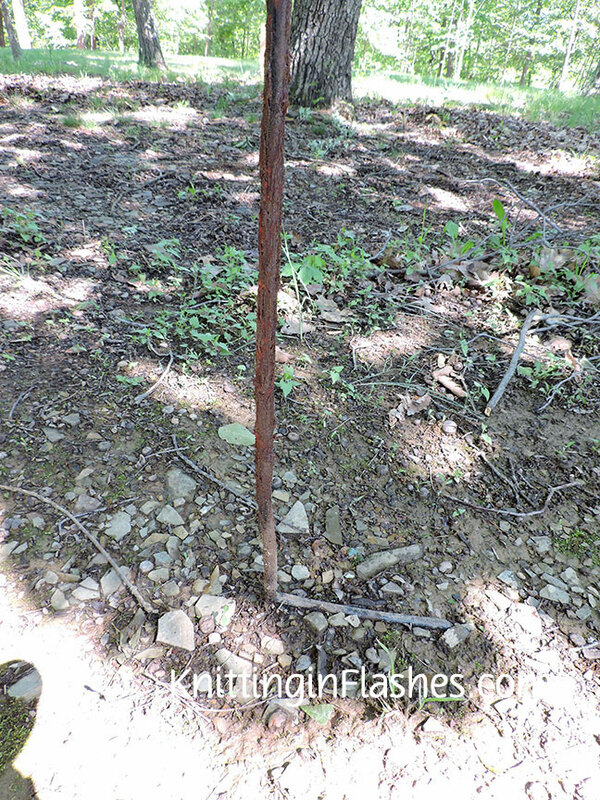 I’ve used this natural ant repellent for several years and it works great. Plus it’s cheap. And harmless. These tiny, syrup, sucking insects don’t like ground cinnamon. So I mix cinnamon (use the cheap stuff) with some petroleum jelly and slather it on the pole about 12-16 inches close to the ground. Then I throw/shake extra cinnamon on the mixture on and around the base the pole just so they know it’s there. I also sprinkle it on the top of my feeder. 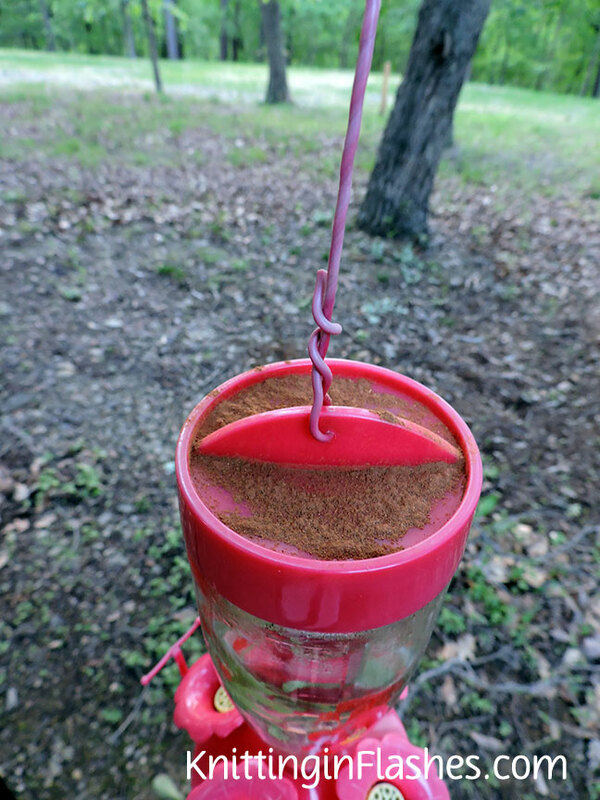 The cinnamon/petroleum jelly mixture can also be applied to the top if your feeder is different. No more ants on my feeder. 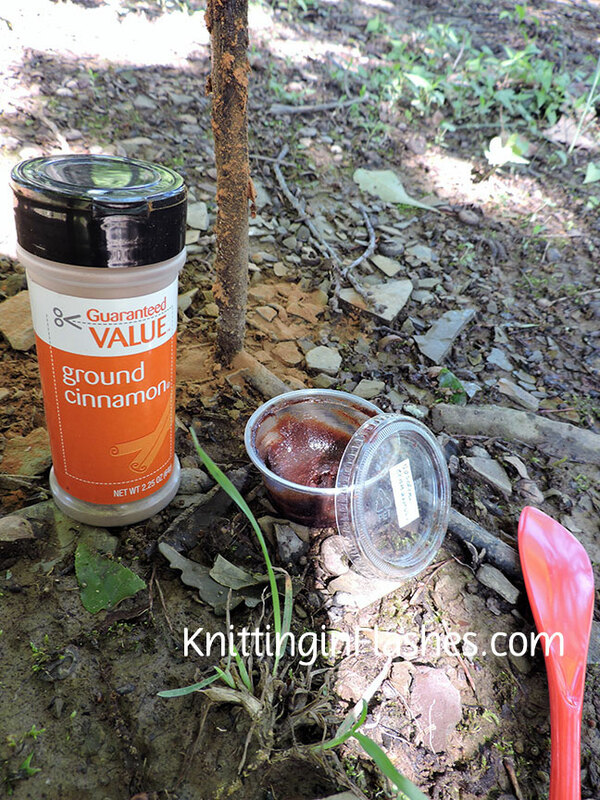 Of course I replenish the cinnamon as needed when I refill the feeder or if we’ve had a lot of rain or wind. 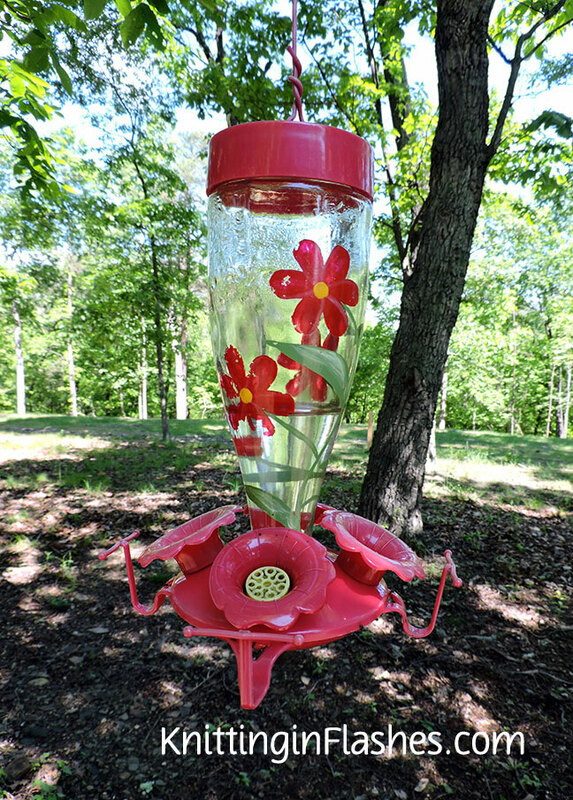 Remember to replace the hummingbird food and thoroughly wash the feeder at least once a week even if there is still food in it. Heat will sour the mixture in a few days. I usually fill my feeder about half way so I don’t waste much food. I’d rather refill it more often than have sour, cloudy food for those amazing little birds. 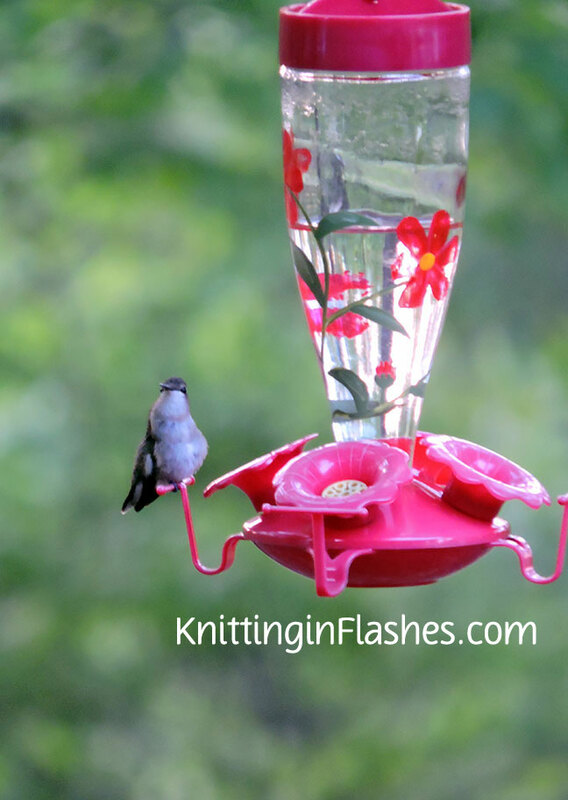 Clean, full feeders make happy hummers. 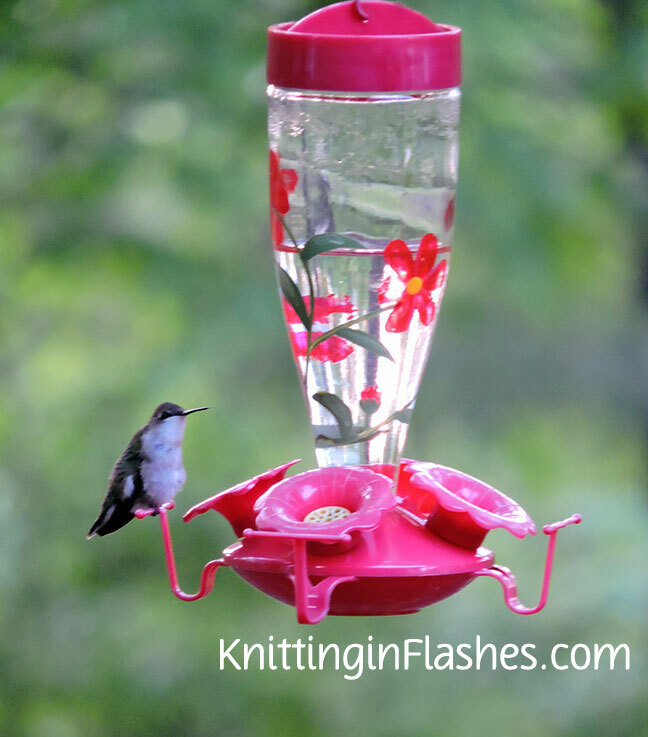 This entry was posted in garden and tagged garden, hummingbird, hummingbird feeder by Patti_is_knittinginflashes. Bookmark the permalink. I never knew that about cinnamon, I will definitely try that. 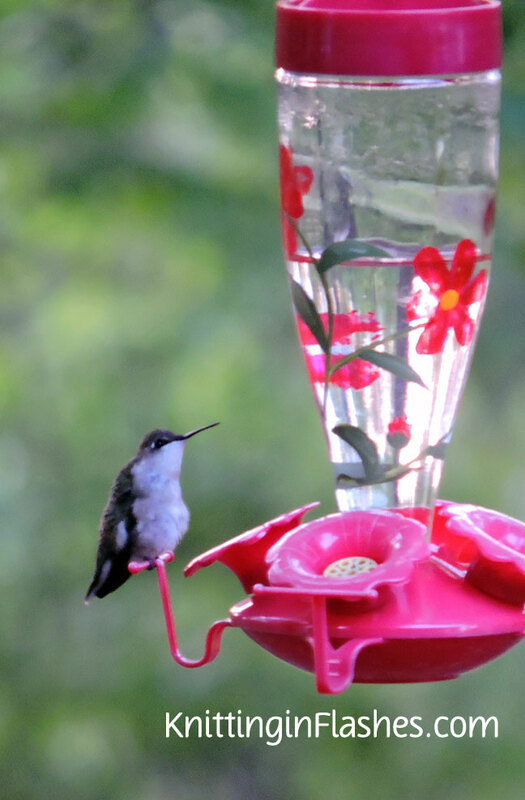 I love our little hummers. 🙂 I used to have a feeder with a shallow dish on top – fill it with water, ants can’t get to the feed. 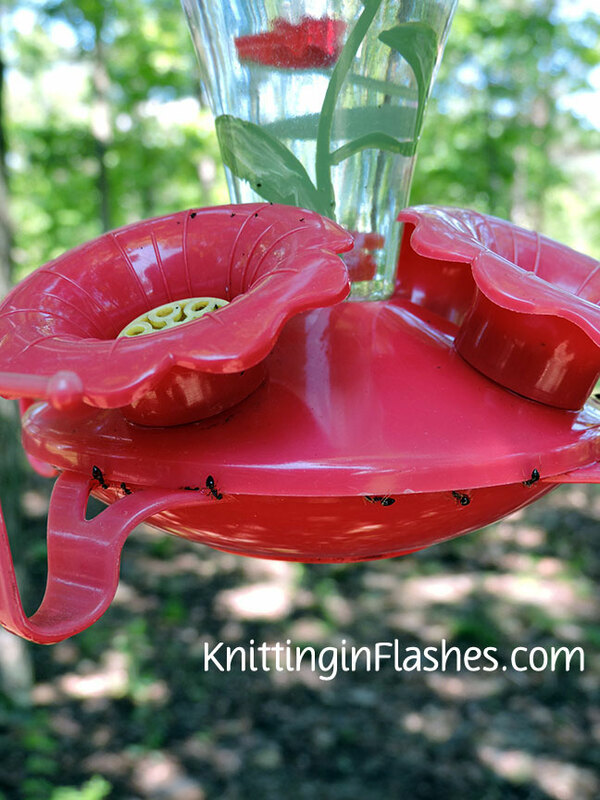 Of course, you do have drowned ants on top of your feeder – not that attractive. 🙂 But cinnamon seems like a better bet – and smells good, too! That would have been nice, too. I didn’t know about cinnamon. Can I sprinkle it on the counters, too, when I get the once a summer invasion in the house? Or you can sprinkle it where they come into your house. I don’t need Google if I have you! Thanks! You need to do the “Smarty-Pants Dance.” I am going to take your advice and do this TODAY! Thanks.